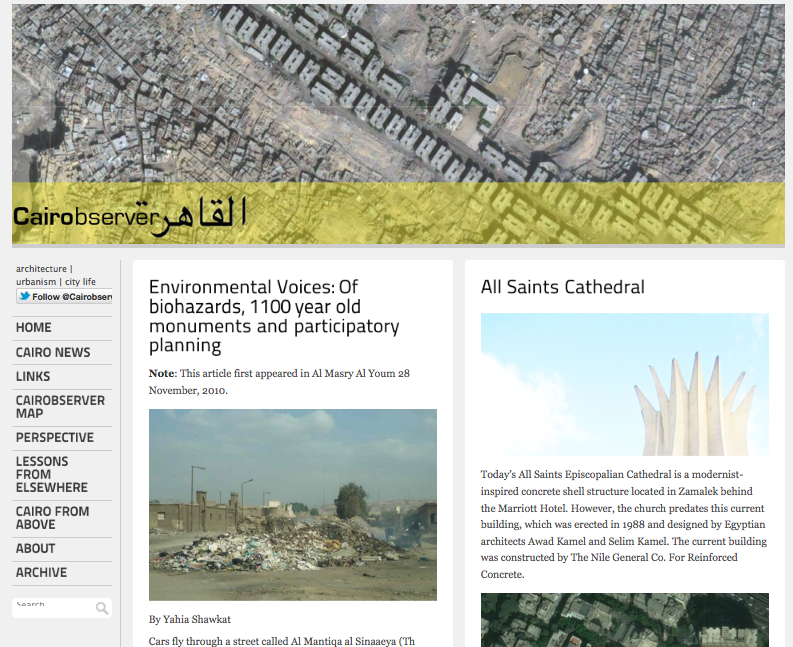 A growing number of online communities are hosting a rich online debate and sharing of information regarding urban governance and planning in Cairo. Some of our favorites are listed below. We are trying to assemble a list of individuals and groups writing about these issues, especially those on Facebook. Please post links in the comments section here to more platforms. ← The Road to Khufu VIDEO – Coming Soon!